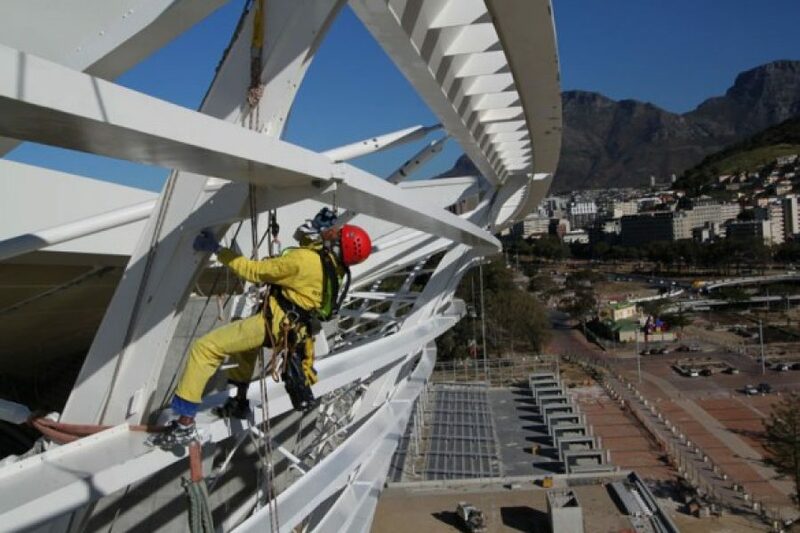 Installation of temporary safety netting (45 000 square meters) to allow for easy access to the roof area for the glass and painting contractors. A crew of 20 rope access technicians have been present for the past 7 months. Installation of 216 roof membrane panels, approx 45 000 square meters in total. The rigging and moving of temporary access platforms. The installation of gutter downpipes on the inside of the roof. 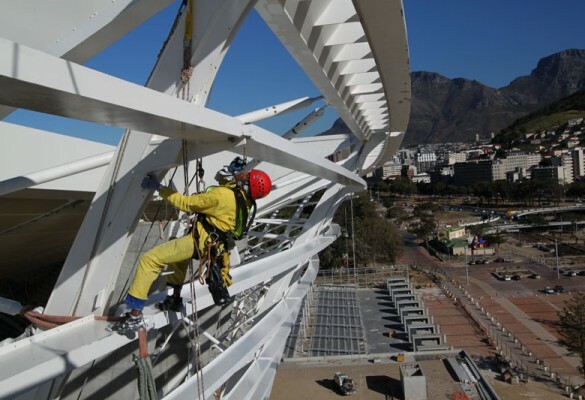 A crew of 110 rope access technicians were present for about 4 months. The painting of the external steel facade, approx 36 000 square meters with International Paints products. Skysite, a Level 2 BBEE Certified Company has proudly serviced the Industrial, Residential and Commercial sectors since 1998. News24 spent the morning with professional rope technician Yanga Gwe, one of the figures Capetonians will see every so often dangling from the outside of the city's skyscrapers. View the Video on News24 Here.